We’ve just returned from 3 whole weeks of exploring East to West Coast America. We now appreciate the sheer vastness of this country despite only seeing maybe a twentieth of the land and have a good understanding why some of its natives have never left home soil. It’s somewhere that feels so familiar as you walk along sidewalks recognising buildings and landmarks you’ve seen in films and read about in books, but at the same time it felt worlds away from our life in Manchester. No two places were the same from the picturesque coastal towns, tiny villages in unknown valleys (one with a population of just 18 people), bustling fast-paced cities that leave you breathless, blistered and aching to dramatic landscapes lined with century old pine trees. To sum up our trip in a few words, we left feeling surprised, inspired and exhausted ! Why travel in January ? Travelling out of season can be significantly less expensive compared to high season, especially in January. We found that many restaurants offered good meal deals and happy hours and hotel rates were heavily discounted. Where possible we tried to stay in self catering accommodation like Air BNB on a Friday and Saturday and hotels during the week where there was no obligation to stay a minimum number of nights or pay a higher price for weekend accommodation. The weather in California in January is very pleasant, especially the further south you travel, like a British summer day, in May or June. It was pretty much perfect, and let’s face it, who wants to hike up the Hollywood Hills or pound pavements in search of famous landmarks in sweltering heat ? Seriously that is a January sky behind me ! If you’re planning on renting a car during your holiday, try to make sure you collect and return the car within the same state, otherwise it becomes incredibly expensive. Ensure you book your car as far in advance as you possibly can as this will bring the price down and choose the collection point as close to where you are staying or airport you are arriving at to avoid paying unnecessary taxi fares. I’d also recommend hiring a larger vehicle that is suitable for driving along different types of roads and that can store all of your luggage. Another thing to consider is valet parking charges at hotels, you can easily add on a few extra hundred dollars for a nightly fee, tax and a tip for the person parking your car. When staying in Los Angeles we sought cheaper parking close by in a 24 hour secured parking lot, which worked out less than half the price than if we would have parked at the hotel. Finally, a good idea to stock up on lots of water too as service stations can be very far and few between if you become dehydrated. Before you travel download taxi apps such as Uber and Lfyt and set up an account. There are a vast amount of drivers working for both of these companies which means you’ll have to wait no more than a few minutes before your car arrives. You’ll also know how long the journey will take and will cost, you can opt to ride share which makes the journey less expensive and on average Uber and Lfyt cost 10-20% less than standard taxis. Taxes are added on to purchases when you are about to make payment and can vary depending on the service and state. It’s a good idea to be aware of what the tax charge is beforehand to avoid going over your budget. For example we stayed in a motel in Santa Barbara that had a separate ‘resort fee’ of 28 dollars per night plus 10% city tax added onto our bill when we checked out, naturally we weren’t best pleased ! Standard tipping culture in the US is between 15-25% of the bill or anywhere between 3-5 dollars for a service such as valet parking at hotels or someone helping to carry luggage up to your room. It’s a good idea to have a large amount of smaller dominations handy to use for tips. Unless you have an endless pot of money, eating out 3 times a day for 3 weeks is incredibly expensive. Like I mentioned in the above paragraph, it’s not just the expense of eating out but the tax and tips added on to every meal to consider ! We planned our trip so we stayed in a mixture of hotels and self catering accommodation so we could do some home-cooking that saved us some dollars and gave us a chance to eat something more health conscious. It’s also worth mentioning that most hotels do not include breakfast with their room rate and if you do opt to eat break in a hotel expect to pay around 20-25 dollars per person. 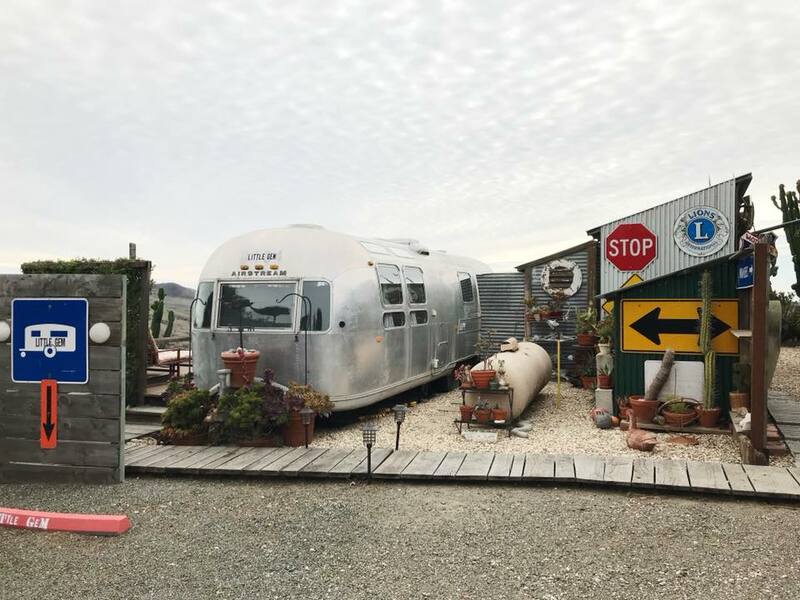 Our beautiful Airstream in Cayucous nestled in amazing hilltop cactus garden. So onto our round up of our favourite places to eat, drink, shop and explore in all the places we were lucky enough to visit ! Until this trip New York had been my absolute favourite city in the world, it’s now a very close second (more about my new favourite later). What’s strange about my visit this time was how much it reminded me of Manchester, the buildings that blossom into beautiful architectural structures the higher up you look, the dirty, pungent smells of drains (hands up who’s whiffed this walking down Market Street ! ), the no non-sense, straightening talking attitude of native New Yorkers, the industrial heritage and diversity of cultures. 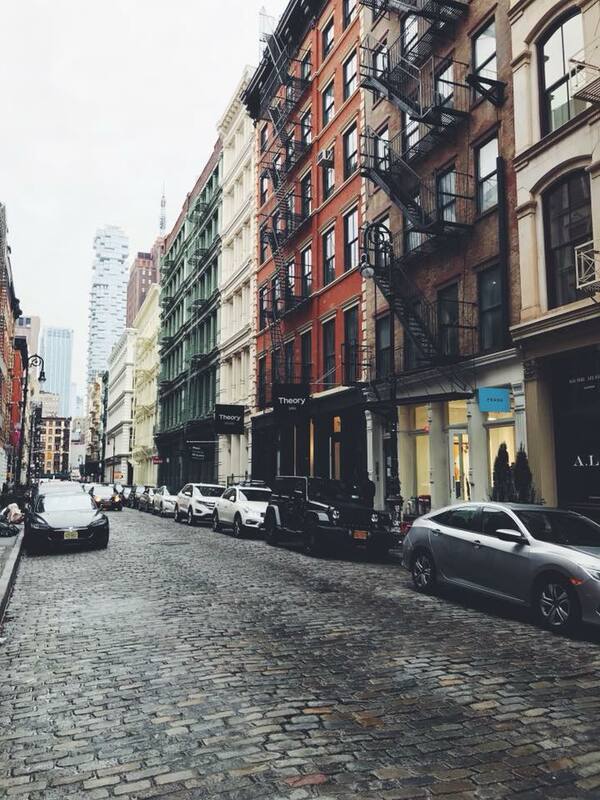 In all the other times we’ve been lucky enough to pound the pavements of this incredible city, we’ve never set foot in neighbourhoods such as The Bronx and Harlem. The aim of our visit this time was to explore the areas that were nothing like back home (though The South Bronx is literally Ancoats 15 years ago ! ) and to see more of the cities famous sites, landmarks, arts and culture. Oh and to eat our bodyweight in Joe’s pizza, a hole-in-the-wall pizza shop selling slices as big of your face since 1974 for an incredible 3 dollars ! Like many visitors to New York, I’ve shared the opinion that The Bronx is a dangerous, no-go area to steer clear of but this trip we decided to throw all preconceptions out the window and join Bronx local, Alexandra for a tour around her fascinating neighbourhood. We booked two tours, one to The South Bronx and one to Little Italy in the Bronx. Both areas are completely contrasting to each other but also to the rest of New York. New York is full of amazing independent movie theatres from the luminous neon art deco style to mid-century modern structures. On a rainy Sunday we took shelter at the super intimate NiteHawk cinema in Williamsburg and watched the newly released Phantom Thread. As well as having a speakeasy style bar downstairs where you can grab a drink before before the film you can also order food and drinks to your table throughout the entire movie ! When I say food I don’t just mean popcorn and nachos, I’m talking a full on meal with sides, a bottle wine, a gigantic ice-cream sundae and after all that walking that is exactly what we did ! We wanted to watch a live performance at some point during our trip and opted for a burlesque show. Duane Park was the perfect setting as it was very a small, seated performance so you had a great view of the stage and the acts. The set price includes a 3 course fine dining meal and arriving drink of your choice plus the show which worked out to be quite a good deal. It was a really nice opportunity to dress up too as most of our nights in New York were spent in what we had worn all day as we were simply to tired to go back to the hotel and change. The show itself is not for the prudish, expect very little clothing, performers dangling from hoops above your head mid dessert, a full jazz band, a slipper bath and striptease and if you’re as lucky as Alex, a very flexible lady who someone got herself up into a handstand using his lap for leverage ! An entertaining evening that's for sure ! Beautiful fabrics, beautiful design, beautiful store and the loveliest of staff. Each piece from Meg’s collection is designed, cut and sampled in her Williamsburg store (one of 6 the US and Canada) and then made in the Garment District in New York. Minimalist womenswear store stocking effortless, utilitarian wares. Two adjacent sister stores selling an amazing selection of unusual houseplants and well-sourced goods for the home. My third visit to this Lower Eastside bakery and as ever it did not disappoint ! Excellent brunch menu selecting the usual all American fares but no-one makes blueberry pancakes like these guys ! I recommend brunching like a true New Yorker and sharing a dish then ordering one or two sides to taste more of the menu and if you’re really feeling in holiday mode, don’t forget the Mimosa ! We stayed at The Paper Factory Hotel in Queens which was a really great find. Firstly very affordable, huge spacious rooms, nicely furnished with in-keeping industrial design, located opposite a subway station and home to the delicious Anis Mediterranean hotel restaurant. After a day of stomping around Manhattan coming back to Anis to dine in a calming botanical setting feasting on scrumptious Italian small plates and a really good bottle of red was heavenly ! A rustic food hall that is great for cheap street food eats with lots of choice and much less crowded than Chelsea market that’s located just around the corner.